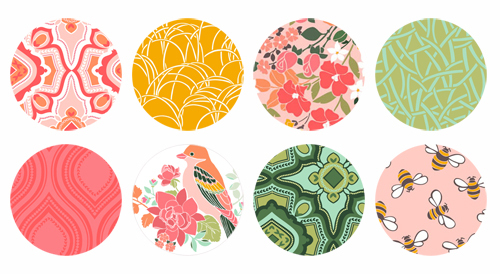 I've been working on making some new patterns, using the Alabama Floral print design as a starting point. I'll add a few more patterns and maybe take some away too, but really this post isn't about these patterns. It's about what I'm listening to while I've been drawing away: PODCASTS. RADIO LAB and STUFF YOU MISSED IN HISTORY CLASS are my two favorites. Listen, enjoy, and have a good weekend!